Vacation Rental Listing 3 bed 2 bath in Punta Gorda, FL. Beautiful 3 Bedroom, 2 Bath Condo Located On A Wide Canal In Punta Gorda Isles! beautiful 3 bedroom, 2 bath condo located on a wide canal in punta gorda isles! Fisherman's Village and Charlotte Harbor. Water You Waiting For...Enjoy This Waterfront Condo On Your Next Vacation! This second floor walk up is bright and open with 3 bedrooms and 2 baths located in beautiful Punta Gorda Isles. Island kitchen with granite counter tops raised panel cabinets. Spa tub in master bath, tile floors in living area and a separate 1 car garage. 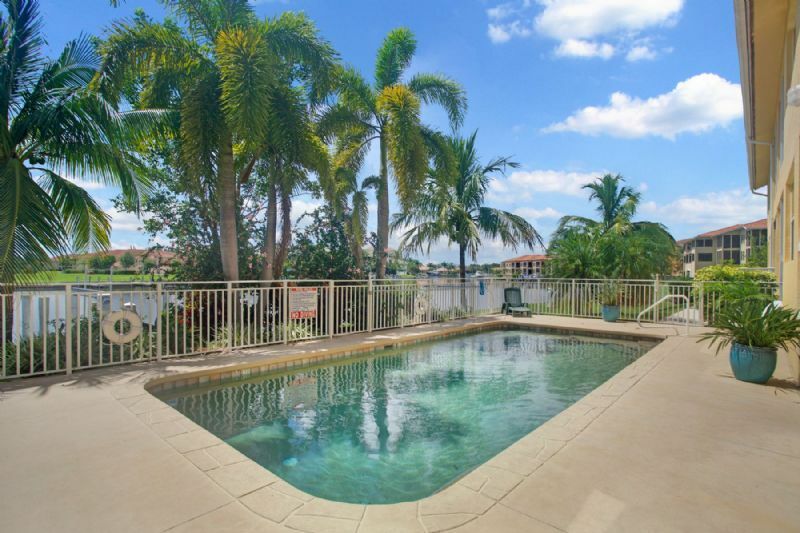 Take time to relax in the community pool or on the screened-in lanai, which overlooks the wide, over 200`, canal. Washer/Dryer inside unit. Cable and WiFi Included. Punta Gorda Isles is a deed-restricted waterfront and golf community. Only minutes from famous Fisherman's Village offering unique shops, waterfront dining and live entertainment.